Welcome to the official Genuine Lishi website! Our tools are recognised by professionals around the globe for their quality, ease of use and outstanding ability to get the job done. 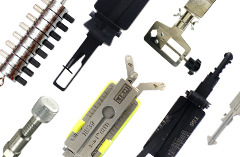 From superior picks and decoders to training vices, dedicated courses and professional guides; our product range covers a spectrum of vehicles and lock types and every single tool has been designed and manufactured to the highest standard and for the most efficiency. Why is Genuine Lishi the number 1 choice for professionals? Our tools get the job done, quickly and without causing damage. The Genuine Lishi brand is trusted by professionals because it allows you to work with confidence. The tools are developed to protect both the door lock and the vehicle; they have been designed specifically for speed, with most tools getting the job done in less than 3 minutes. Made with high grade stainless steel, every tool is durable and has been designed to fit into the lock smoothly. In fact we are so confident about their quality that all of our tools are backed with a Lifetime Guarantee against manufacturing faults. All of our tools are produced under our direct control to ensure perfect quality every time so make sure your look out for the Genuine Lishi logo as your guarantee of a great quality tool! 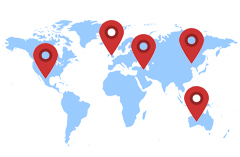 We offer everything from standalone picks, readers and decoders to 2in1 and 3in1 tools. These tools have the ability to both pick and decode a lock using just 1 product with the difference being 3in1 tools can also pick a cars ignition. Our patented Nightvision tools make light of working in the dark with a unique glowing feature that makes them easy to use in darker conditions. The newest addition to the Genuine Lishi range is our T3 tools. T3 stands for ‘Tough, Technically advanced Tools’ and these pick and decoders have been designed for the most professional auto locksmith and boast to be the most up to date products on the market. When you purchase your Genuine Lishi product, you aren’t just buying a tool; you’re also buying the host of benefits that come with that tool. All you need to do to access these benefits is register your new pick/ decoder with the unique serial number all authentic products come with. Not only will that activate your lifetime guarantee but will give you exclusive access to a library of technical information that will help you get the very best from your new product. Practice is key when it comes to becoming a master in this profession, which is why we supply a range of training vices and products to help you perfect your picking skills – whether you are a trainee or experienced locksmith, practice always makes perfect. 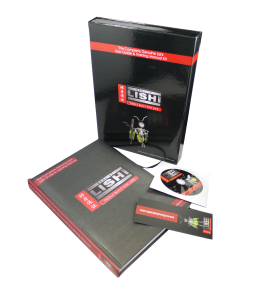 Our manuals and guides will give you all the information you need to work with our tools to an extremely high standard and for those who want to perfect their skills that little bit extra, Genuine Lishi training courses will get you well on your way. Genuine Lishi is the registered trademark of UAP TradeLocks.